Well it happened. Dad died. Two months ago. Dad had been sick for a long time - over 2 and a half years, but he still died 'suddenly', of a heart attack one night. I always thought I would be there with him when he died, so to receive the phone call in the middle of the night, that dad had passed away, was beyond a shock. I felt like I was living in a surreal dream-world where everything moved slowly and sights and sounds were brighter and louder. I just haven't woken up from the dream yet. Maybe I went back to work too soon? I helped arrange the funeral and went back to work a few days later. I took off the day of the funeral and ended up needing the next 2 days off too. It took way more out of me than I'd anticipated, and still the dream continues. Six weeks later, and I've been working every day except for the odd day I've had to go home early (crying too much to work) and once I took a day off after having nightmares about my dad all night. I just don't feel like I'm getting any 'better'. The overwhelming urge is to go away, just to pack a bag, leave the house and drive off into the sunset with my dogs. That isn't a practical solution, even at the best of times, let alone when you are so stuck you can't even figure out how to dress in the morning. I need a change though. SOMETHING has to change. I feel like I'm going through the motions of life - get up, get dressed, go to work, come home, walk the dogs, have dinner, go to bed... without being present for any of it. So how to make a change? I'm due to go on holiday in a month but that feels like a lifetime away. And I don't see how 2 weeks in a foreign land is supposed to shake this feeling anyway?! So to catchup. My partner and I separated over the Christmas break. I've spent the last few weeks just getting accustomed to the idea. I am turning 40 this year, and am single for the first time in 15 years. For full openness, we have separated but are still dating, and have decided and to see other people. As my sibling puts it, we are polyamorous! That implies we are already seeing other people, but the possibility is certainly open to us. The future is both terrifying and exciting. Tonight was possibly my first true experience of being a single person, out alone in the city. I met a friend for dinner, and she dropped me at the train to get home. Of course my train terminated in town and I had a thirty minute wait for the connecting train... with the festival bars on the train station doorstep. I was gagging for a cigarette so I headed over to the bars to look for a chat (and to bum a fag). It took ages to even find another smoker - two women who were happy to give me a cigarette but who immediately turned back to their private conversation. I thanked them and moved on. So of course I smoked the cigarette on my own and went back to the train. The thing is, I really felt like I was trying to spark up a conversation with anyone. I was making eye contact, smiling, probably looking awkward. What else does someone do? I don't even remember HOW to meet strangers. Were we ever taught this stuff in school? Or are we expected to remain friends with the handful of people we meet in school and never meet anyone else? The thing is, I'm trying to quit smoking - I even chewed off 6 of 10 fingernails tonight trying NOT to smoke, and yet, it was the only reason I could think of to approach a stranger. How do people DO this?! What are YOUR methods for approaching strangers in a crowd? After spending some time reviewing all of my priorities I have decided to discontinue my blog. My work position has changed and I have fewer hours in the day available to study and write. Since I already have quite a few balls to juggle at the moment (balls which cannot be dropped: family and friends) I am consciously letting go of other 'priorities' such as study and blogging. Mike and I are even thinking about downsizing and selling our block in the country. This is a huge deal for us as we have told EVERYONE that we will be building a house and moving out there to retire. As it turns out, our life plans have changed and it can be difficult and daunting to realise and admit that, when it happens. We are currently contemplating telling everyone we know that the plans we have been talking about for 10 years, just don't suit us anymore. We feel like failures for signing up to a plan and not seeing it through, but we both agree that going ahead with the plan (to avoid feeling like failures) would be a poor decision. I may come back and revisit this blog if the need to write becomes another priority for me in the future, but until then, I wish you all the very best that life has to offer. Remember. Everything you need is already inside you. Something amazing happened today. A fairly large problem in my life apparently resolved itself! And somehow I believe that my presence in the moment allowed this to happen. I tried to type a brief back-story here about the experience, however it quickly spirals into personal family details that don't need to be expressed, so if you don't mind, I will keep this topic brief and somewhat vague. For the last three days I have needed to write a message to my family, in order to try to bring three very different perspectives close enough in line that we could talk calmly. Yesterday I sat in the sunshine at lunch time and contemplated the subject thoroughly. I felt that I had the right 'angle' and tone for my letter, however something was holding me back from writing it. Again today, I sat with the problem during my lunch hour, and considered the details some more. Finally late in the day I felt it was time to write the letter - now! When I logged into my email to begin, I saw an email from my mother. She had been to an appointment with my father in which the health professional made a decision on our behalf. She made a professional decision and it made each of our perspectives null and void. Now we had one way to face the issue, and that's that. The email that I had drafted in my head was not needed, and I didn't have to worry about how each family member might react. Perhaps it was only coincidence (not that I believe in coincidences!) that I hadn't written that email either of the two days previous. Since returning from our trip to Europe I have been spending as much of my day aware of the present moment as possible. I was lucky to be able start training my brain to do this while we were on holiday, and I can already feel my 'autopilot' mind trying to come back now I'm at home. It was that awareness, a connection to the universe (perhaps)? That told me, go write your letter now. And the problem was solved. If you haven't seen Russel Brand's spiritual rantings, then you need to see his "Awakened Man" video. Yesterday I came across Jim Carrey's one minute "speech to change your life", and the night before last I listened to Mark Maron's WTF podcast with RuPaul and was seriously gobsmacked. If you thought RuPaul was "just a drag queen" you HAVE to listen to this podcast, he is one SERIOUSLY spiritual guy. So why are these pop culture celebrities turning to spiritualism? (And these are only a few examples, I'm sure there are PLENTY more). I mean, aren't most of us meant to aspire to a life of wealth, fame and beauty (that these guys already have), yet it is obviously pretty hollow when they get there, otherwise why would they search for more? It is very exciting to hear such awakened words coming from such a variety of people, and so unexpected too. Perhaps this is the beginning of a new era of consciousness? Even the scientific community is beginning to look at what came prior to the Big Bang and a very viable answer is consciousness. Consciousness created the universe, it isn't just a by-product of life. 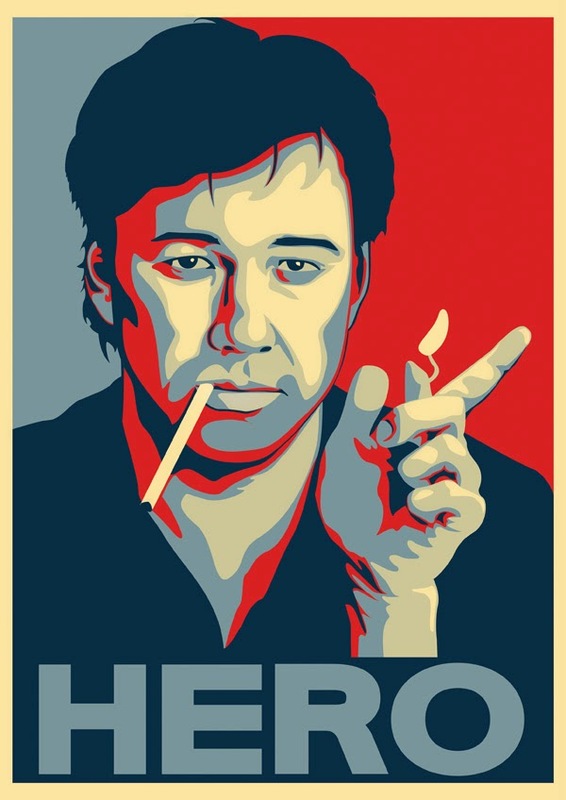 So Bill Hicks had it right all those years ago! "All matter is merely energy condensed to a slow vibration, we are all one consciousness experiencing itself subjectively, there is no such thing as death; life is only a dream, and we are the imagination of ourselves. Here's Tom with the weather." Who is your spiritual hero? It's been a while since my last post, not only because I've been struggling with a bout of depression but I've also come down with the flu. I think my body has simply collapsed under the strain of worrying about my family, working full time, having relationship issues and generally just trying to cope on a day-to-day, minute-to-minute basis. Mike has convinced me to sign up for counselling with a carers organisation, which I can do via email rather than face to face. Its such a relief to be able to access that kind of service that way, as there is simply no time I could take out of my week to visit a counsellor, without work having to know (which is not something I'm ready to face as yet). So hopefully communicating with someone external to our situation, with experience caring for someone, will be able to help relieve the emotional burden I'm feeling. Our trip to Germany is also coming up soon, we fly out in just over two weeks and all the arrangements are made. We want to continue with our monthly challenge up to and around our trip, while we'll have the three weeks we are away as a holiday without any challenge attached. So we only have two weeks to implement this 'months' challenge, so we thought we'd pick a tough one. As a lead up to trying to go vegan, we have decided to go dairy-free for the first two weeks of June. I already drink soy milk in my coffee and rice milk in my smoothies (I'm lactose intolerant), but Mike is dreading having a soy coffee so will probably go back to drinking black coffee instead. The toughest part of this challenge will be for both of us to go without cheese and chocolate. We have cheese in most dinners and often have a few pieces of chocolate for dessert. We found a deli not far away that sells raw vegan chocolate and it is the tastiest chocolate I have EVER eaten (no exaggeration), however it costs about $10 for a tiny tiny bar, so we are going to try to make our own raw vegan chocolate. I'll let you know how that goes. Our monthly challenge for May was to quit smoking again which I managed after the first few days but Mike has struggled with this more - he still doesn't really want to quit, so without the motivation it just isn't possible, however he has cut down enormously. I'll send an update prior to our trip to let you know how the raw vegan chocolate and dairy-free experience is going. I've decided to write a blog post about depression, as this is something I experience fairly regularly, but rarely talk about openly. I think a lot of people do the same thing, talk when they're happy and don't talk when they're not, so it's not a topic blogged or talked about much. However at any point in time, someone close to you is likely experiencing some level of depression or anxiety, they may just be good at hiding it. My partner is now 'coming around' after a prolonged period of depression. I should point out he would probably deny this, however his symptoms of reduced sleep and appetite and extreme apathy and introversion argue otherwise. Likewise my father is currently going through a prolonged period of depression and a close friend is also experiencing symptoms of post-natal depression. Because my friends know I have had depression in the past, the women in my life are more likely to open up and share their experiences with me. However men find it much harder talking about their symptoms. There are multiple reasons for this including the cultural barrier (especially in Australia but also in many other countries) where men are taught not to talk about their feelings, so shy away from emotional topics. Similarly, men are taught not to show their vulnerabilities so have (a) no desire and (b) no method of talking about their experiences. Although my thoughts may become bleak I have found that presence in the moment is very helpful in keeping the dark thoughts from developing into suicidal thoughts. That's because we can become overwhelmed by our memories of the past, or fears and anxieties about the future, but things are usually OK in the present moment. If things are not OK in the present moment, because we are grieving (or similar) then just remember that this period is temporary, it will pass. We will not feel like this forever, or even for a long time (although it may feel that way). If it is memory of the past or fear/anxiety about the future making you depressed, come back to the present moment. Feel your feet on the floor, wiggle your toes. Your mind can be anywhere but your body is always in the present, so focus the mind on the body. Feel your breath enter your nostrils and your stomach rise and fall. This is the present. You can do this at work, at home, on the bus or even on the toilet! Take notice of tension in your body, and your body posture. Are your arms or legs crossed? Uncross them. Is there tension in your jaw, stomach or shoulders? Relax them. Take a few deep breaths, and move forward with your day. The longer you have been depressed, the more those neural networks in your brain will have a clear path to fire those same depressed thoughts at you. It's a cycle. So when you interrupt a 'dark' thought by bringing your focus to the present, you create a new path. Your mind WILL wander back to those same old thoughts, but when you are aware of it, bring your focus back to the present, and you make that new path a little wider. 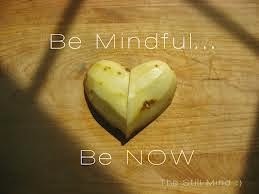 This practice is called mindfulness and it's an ongoing process. When you become aware of your thoughts, bring your focus back to the present. Over and over again. Soon the new neural network path in your brain is clear and wide enough that you can pick up on your depressive thought AS IT ARISES, and you won't be taken down that depressing mental path so far. So although I still get depressed and overwhelmed sometimes, I am able to control my reaction to these thoughts by awareness of their presence, and I NEVER feel as bad as I used to, as things in the present are never that bad. If you are experiencing depression or suicidal thoughts, please talk to someone about it today. The practice of mindfulness will help, however you are not alone and there are organisations you can talk to for free, if you can't talk to someone you know about it. 100-Up Exercises: The Path to Better Running Form!